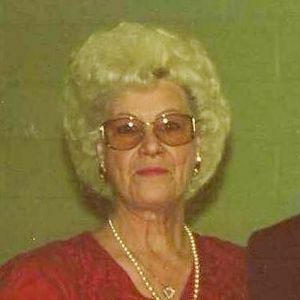 Lois Kathleen Yarbrough, 88, of Bladenboro, passed away on Friday, November 2, 2018. She was preceded in death by her parents: John and Hattie Todd; husband: Franklin McKinley Yarbrough, Sr. Kathleen leaves behind three sons: Franklin M. Yarbrough, Jr. (Ada) of Aiken, SC, Johnny M. Yarbrough of Bladenboro, Jerry Wayne Yarbrough (Dixie) of Bladenboro; three daughters: Judy Y. Hester of Lumberton, Kathy Y. Sparks (John) of Maggie Valley, NC, Connie Y. Porter (Dennis) of Houston, TX; one sister: Eunice Ward of Bladenboro; one brother: Elwood Todd (Carolyn) of Hope Mills; 18 grandchildren and 28 great-grandchildren. A graveside service will be held on Sunday, November 4, 2018 at 1pm in the Bladen Memorial Gardens in Elizabethtown with Rev. Ricky Donaldson officiating.